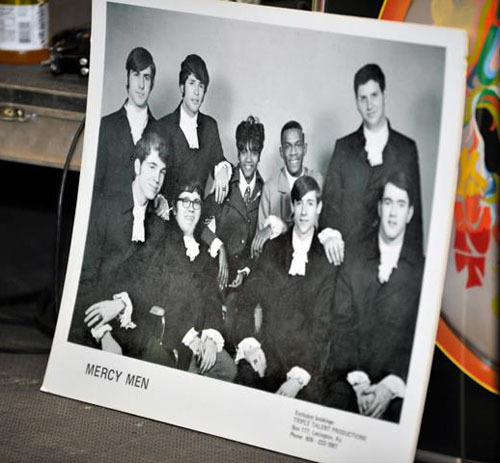 The Mercy Men Band was started in 1964 by Jake, Lindsay, Kent, and Bill Blackford. The band was booked extensively through 1973 when everyone decided to pursue other careers. Jake, Kent, and Lindsay got the band back together in April 2011 for fun but quickly realized how much we missed making music! So The Mercy Men is back at making good music and having FUN! Tommy Mefford was our keyboardist for many years and his memory and influence are greatly cherished. His skill on the keyboard and affable personality was an inspiration to us all. Tom we know you are looking down on us and smiling. We trust there is a Hammond B3 in heaven…. someday we’ll make good music together again!